The checkers by them selves are 16 instructions. They are generated by using the sine of the texture coordinates run through a ceil with the red channel subtracted from the green and the result brought to absolute value. 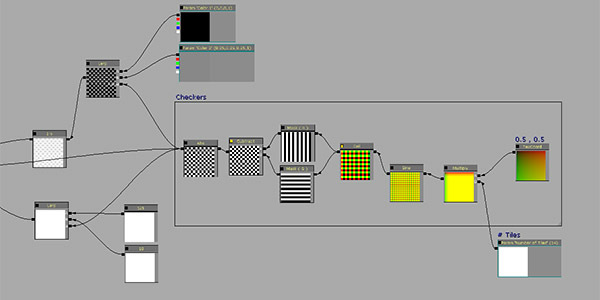 The yellow regions seen in the ceiling node preview are brought to zero and the green to negative one. The absolute value node brings the subtracted green back to 1 and the other nodes are beatification. 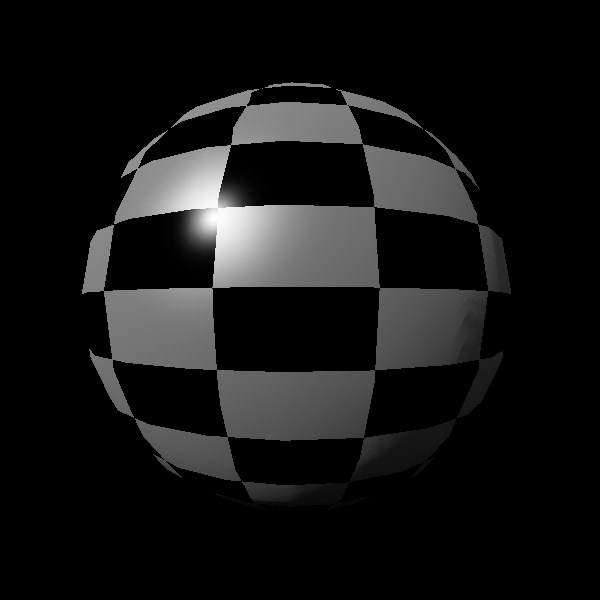 The twin vector parameters allow the color of the tiles to be arbitrarily set and the lerp is to assist in varying the specular power.